Getting a new roof for your home involves considerable time and money. With such a big investment, it’s essential to cover all the bases first to avoid sloppy workmanship and additional expenses. Kroll Construction, your reliable home improvement company, shares the three factors you need to consider when investing in roof replacement. 1. Your Home’s Architectural Style — You’ll want your new roofing in Detroit to match your home’s style. Some roofing materials are suitable for a specific architecture. For instance, homes with traditional lines, like Colonial and Victorian, looks better with slate. Meanwhile, Spanish mission and Mediterranean style homes are perfect with clay tiles. Homes in contemporary-modern design look good with metal. If you prefer to use shingles, however, there are options that emulate the authentic look of more premium materials. Kroll Construction offers shingles from Owens Corning that gives you the aesthetic you want without the hassle of maintenance. They also come in a wide selection of colors that can blend with your home’s existing décor and contribute to its historical accuracy. 2. Your Area’s Weather Patterns — You should also consider the climate and environment of your region. 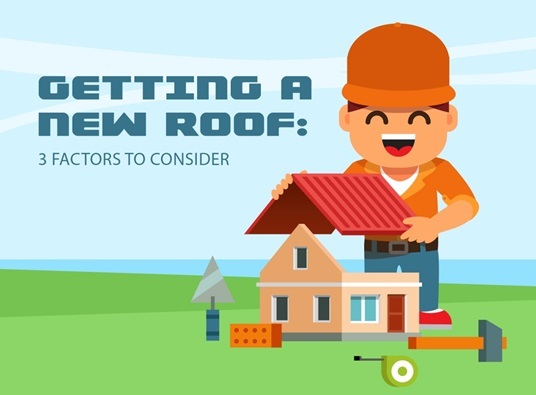 These two aspects affect the longevity and performance of your new roofing, so pick a material that can take on your area’s weather conditions. If your concern is high winds, choose Owens Corning’s TruDefinition® Duration shingles. They offer a 130-mph wind resistance aside from their complimentary shadow lines and great dimension. 3. Your Choice of Roofing Contractor — Your Detroit roofing is a great contributor to your home’s beauty, comfort, and energy efficiency. That’s why you have to make sure that your roofers can provide the quality roof installation your home deserves. Kroll Construction is fully trained and certified by Owens Corning, ensuring smooth and worry-free work on your roof replacement. We are also licensed and insured for your protection and ease of mind. When in need of a reliable roofing contractor to install your replacement roof, choose Kroll Construction. With our high-end materials and expert team, we’ll make sure that your roof provides lasting protection and performance for your home. Fill out our form today for a free estimate.